Who is this Near and Far? Who do you see in this picture? After looking at it up close from your chair, get up and stand back about 15 feet. 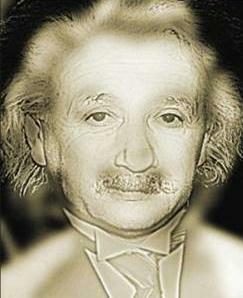 Now who do you see?